Steelcase's media:scape software on a stand from Coalesse. As North America’s largest interior design conference, Neocon is a great place to scout interiors trends. Here are a couple themes AN spotted during this year’s opening days. Video conference calls are an integral part of day-to-day office work for a growing share of businesses. Elegant office design and high-tech compatibility seemed to dovetail in many of the new products on display at Neocon. Steelcase’s media:scape software plugs into a new mobile monitor stand and whiteboard from Coalesse designed to integrate high-tech furnishings into clean, open plan office design. Workware from Haworth strikes a similar balance, stashing media connections and electrical outlets inside sleek media wells that are a welcome departure from plastic, flip-top openings on the conference room floor. 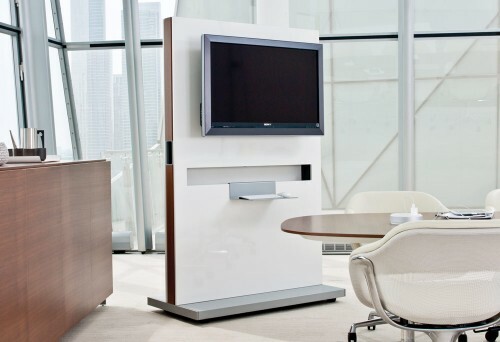 Nucraft’s Passport won a gold award for conference room furniture. 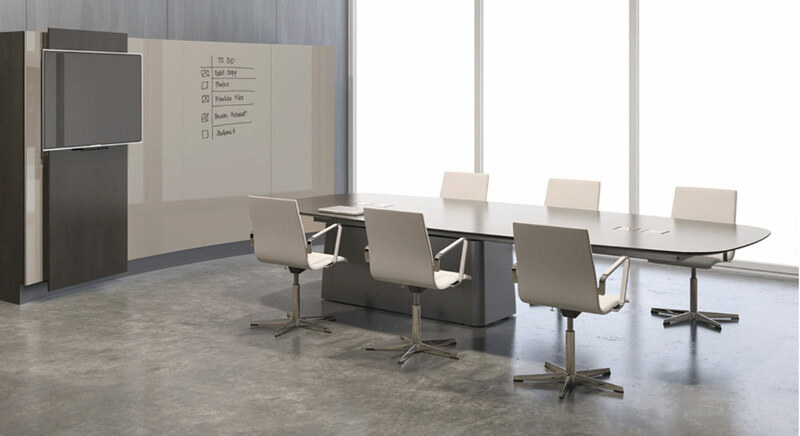 Media displays track smoothly across a bowed panel of whiteboards, opening up conference table sessions to customization without compromising the clean, high-design office aesthetic. The products merge software and hardware solutions for virtually hands-free high-tech conference capability. Elsewhere in Neocon, we saw our floors come alive. Mohawk Group tried to strike a balance between custom-order textiles and off-the-shelf products with a collection of DIY-inspired patterns. An organic color palette undulates across the catalog of modular tiles. Transitional tiles are designed to let customers create larger patterns themselves at a price point far below a traditional custom order. Camira makes fabric from UK-grown-hemp and wool, as well as recycled polyester. The result is a wide swath of colors with a reduced environmental footprint. Green flooring was a common thread among this year’s fabricators. 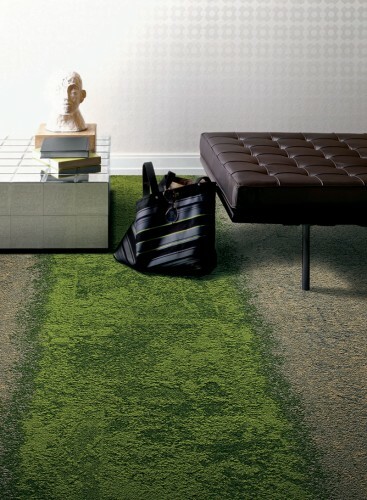 Interface’s Urban Retreat gracefully incorporated the warm glow of moss on cement into its sustainable flooring. And we continued to tread lightly on natural resources with Chilewich’s BioFelt tile, which is Velcro-anchored and PVC-free.